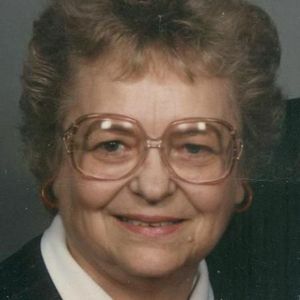 Jane C. Cummins, 87, formerly of 414 Downing St., Piqua, died at 4:33 p.m. Thursday February 26, 2009 at Elm Creek Nursing Home, West Carrollton. She was born March 15, 1921 in Piqua to the late Ross and Mildred (Dill) Cromer. She married William F. Cummins April 18, 1941 in Piqua; he preceded her in death September 29, 2002. Survivors include a daughter, Carol Cummins of Miamisburg; a son, Keith (Kimberly) Cummins of Brookville, Ind. ; five grandchildren, Robert Cummins, Derek Cummins, Molly (Joe) Bingaman, Trent Cummins, Andy (Jenna) Peaso; and four great grandchildren, Branton Cummins, Logan Cummins, Michael Bingaman, and Shelby Bingaman. Mrs. Cummins graduated from Piqua Central High School and obtained her Teaching Degree from Wright State University. Her teaching career included Riverside School, and the Houston School District. In addition, she operated Jane's Dance Studio, and was an active member of Piqua Baptist Church.